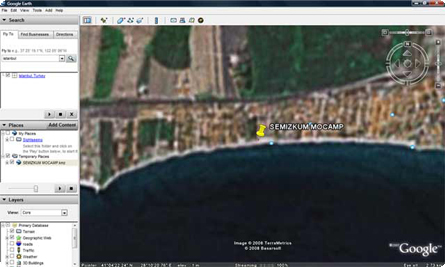 By Car: You can find SEMIZKUM MOCAMP by taking the E-5 or TEM Highway. E-5 Highway : Take the E-5 Highway at Istanbul. Drive until you see MAXI Shopping Center on the right side of the road. After you see the shopping center, make a turn at the second underpass headed back in the direction of Istanbul and drive on for about 2 km. 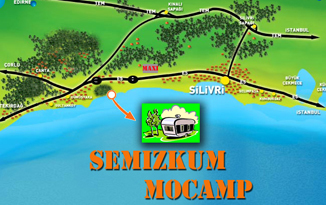 You will see SEMIZKUM MOCAMP campsite on the right hand side of the road. 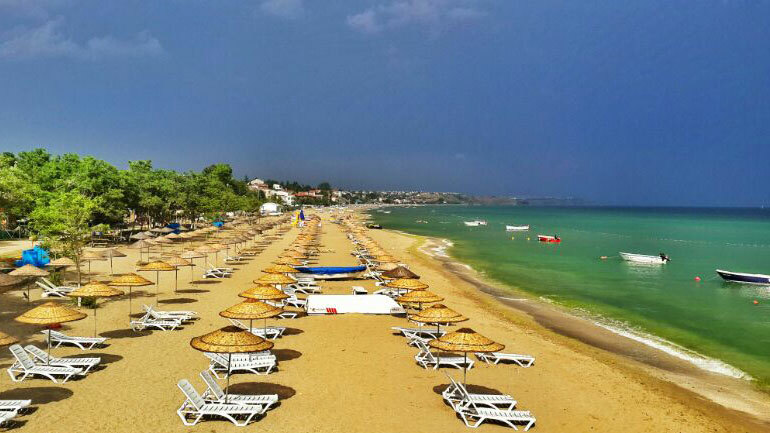 By Bus : In Istanbul, you may take any bus departing from the ESENLER or HAREM Bus Stations going in the direction of CORLU – TEKIRDAG. Get off the bus at the KARAGÖZ Pedestrian Crossing which is located approximately two kilometers past the SİLİVRİ MAXI SHOPPING CENTER. Cross the road to SEMIZKUM MOCAMP.